Please watch and pass this on to veterans! My friend Glenn put out this video calling on all veterans and supporters to “Soldier Up,” join him and other in front of The Lincoln memorial in Washington DC this July for a peaceful demonstration . On October 24, 2014, Glenn Stewart, an Army Desert Storm veteran, went to the emergency room at his local VA hospital to treat his third episode of temporary blindness. I always watch the videos before I post them here; some of which are recommended by veterans, like the one I’m sharing today. The VA Has Opened a Burn-Pit Registry!! ATTENTION: PLEASE SHARE THIS WITH VETERANS FROM THE IRAQ WAR OR ANYONE WHO HAD THE DEPLOYMENT DATES BELOW. THIS IS GOOD NEWS. A STEP IN THE RIGHT DIRECTION, THANK YOU. I can’t imagine being in these elements under “normal” conditions let alone on a battlefield. The wind is bad enough; it can be tiring on its own, add the blowing sand and that’s a mixture for a miserable experience. 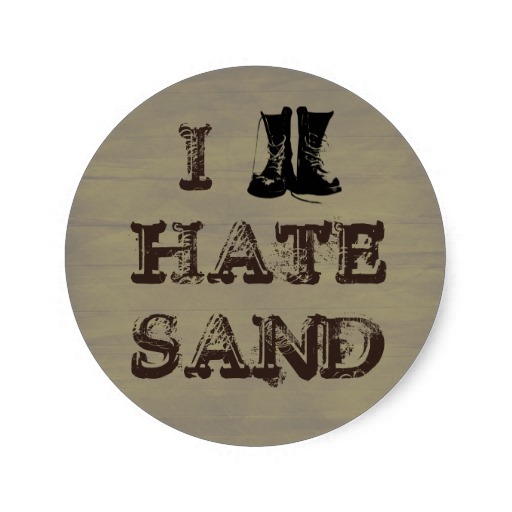 I’ve also heard that the sand there is different as far as texture and AMOUNT are concerned. Dubbed the “sandbox” by troops, this name may have derived from its namesake experienced during Boot Camp. Upon researching the sandstorms that plague that region of the world, I came across an article that peaked my curiosity, and I have to say I’m not at all surprised this issue is hush hush. This is the first time I’ve heard about this. The following is from an article written on June 28, 2010. Once again I’m disappointed in the transparency of our government. U.S. troops already face plenty of threats in Afghanistan: AK-47–wielding insurgents, improvised bombs, an intransigent and incompetent government. 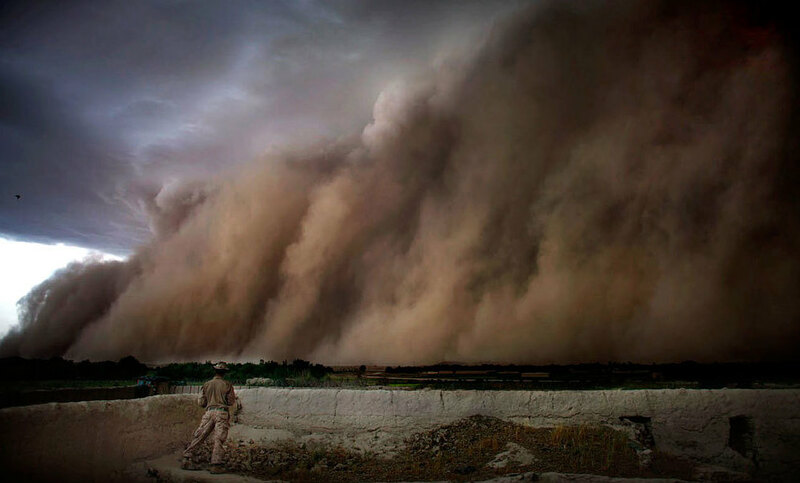 Now add a less familiar challenge to that list of woes: Afghanistan’s toxic sand. The pulverized turf, it turns out, contains high levels of manganese, silicon, iron, magnesium, aluminum, chromium and other metals that act as neurotoxic agents when ingested. 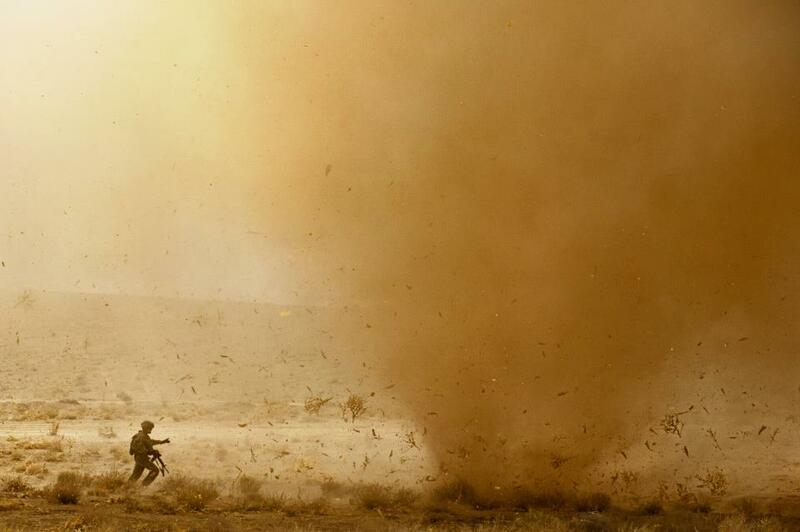 Combine the country’s frequent sandstorms and the kicked-up dust that results from helicopter travel with troops’ nostrils, mouths and pores, and you’ve got an unexpected example of how inhospitable the terrain is for the soon-to-be 98,000 soldiers, sailors, airmen and marines fighting the war. That’s all according to new research presented this month to a neurotoxicology conference in Oregon by a senior scientist with the Navy Environmental Health Effects Laboratory. That scientist, Palur G. Gunasekar, tells Politics Daily‘s Sheila Kaplan that “[a]s the sand extract dose increases at the higher concentration you see cell death.” As the late Ronnie James Dio told us time and again, metal is evil. According to Pro Publica, Congress has dedicated an estimated $1.7 billion over the last few years to help troops recover from traumatic brain injuries, even standing up six new “Defense Centers of Excellence” in 2007 to provide research support as well as medical care. But now it looks like there’s a new, tragic and expensive unintended health consequence of the war. 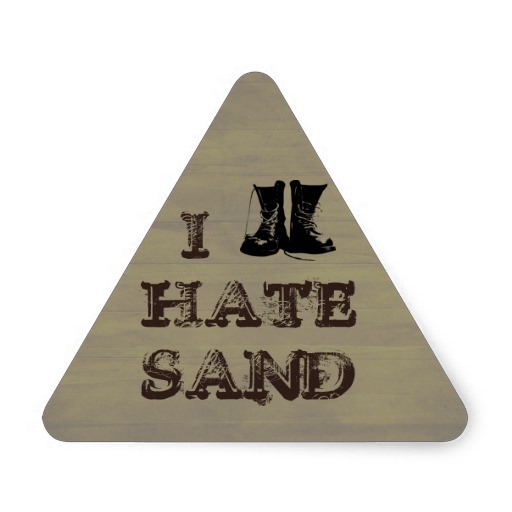 And if the Defense Department’s late start in combating traumatic brain injuries is instructive, it’s going to take a lot more than research and the glacial pace of the defense health bureaucracy to deal with neurotoxic sand. A September 2009 Defense Department overview of its anti-TBI efforts (.PDF) to date found that grappling with the scope of such a multifaceted health problem required “collaborative efforts” with “state-of-the-art science, technology and knowledge-based outcomes.” And the Department still isn’t there yet, years later. 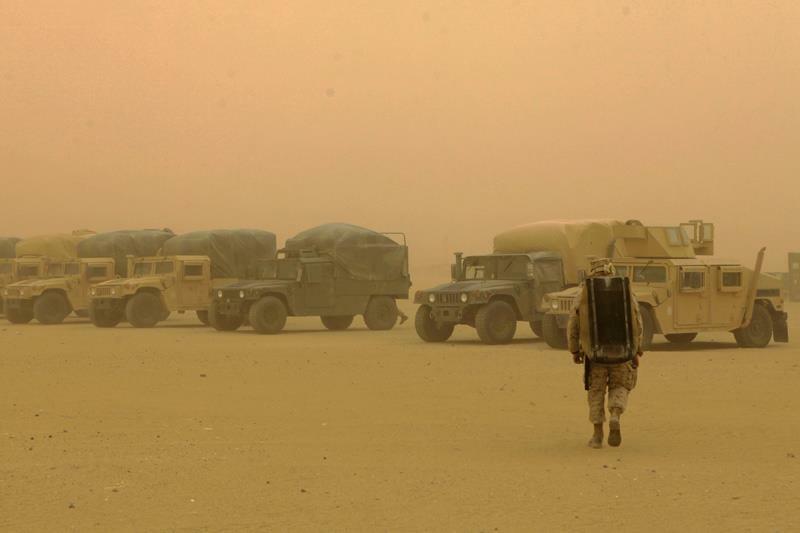 Until something like that kicks into gear for toxic sand, troops are going to be left on their own to mitigate their exposure, so that may mean enterprising commanders ordering their troops to wear black sunglasses and face masks this summer in the Afghan desert. If there’s any upside to a covered face in baking heat, at least it’ll look pretty metal. Scans have shown loss of brain matter in two regions of the brain associated with pain regulation in Gulf War veterans, researchers from Georgetown University Medical Center reported in the journal PLoS One.As background information, the authors informed that of the approximately 700,000 soldiers who served in Operation Desert Storm 1990-1991, nearly 30% developed Gulf War Illness Gulf War Syndrome. Gulf War Illness presents itself with symptoms such as cognitive deficits, autonomic dysfunction, severe fatigue, and chronic widespread pain that implicate the CNS central nervous system.The majority of patients with Gulf War Illness experience post-exertional malaise, meaning their symptoms worsen considerably after physical and/or mental effort.The scientists in this study had set out to determine what the causal relationship might be between exercise, the brain and alterations in symptoms. They recruited 38 volunteers – 28 Gulf War veterans and 10 controls ten matched people who were not veterans. The participants underwent two exercise stress tests as well as two fMRI functional magnetic resonance imaging scans, one before and one after the tests – the aim was to see whether there were any serial changes in pain, autonomic function and working memory.Autonomic function refers to how well the autonomic nervous system ANS is working. ANS is the part of the nervous system that acts as a control system and works largely below the level of consciousness. It affects digestion, heart rate, urination micturition, sexual arousal, perspiration, pupillary dilation, salivation, and respiratory rate. 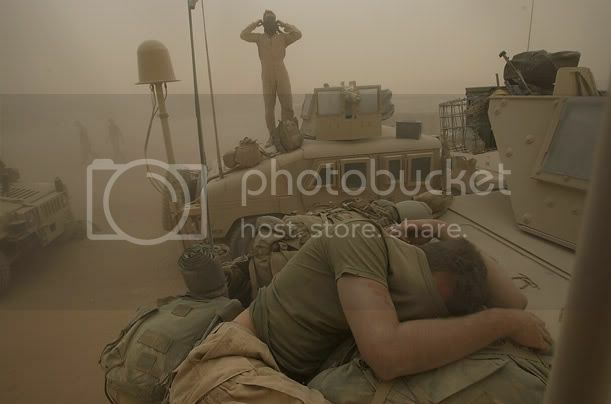 via Proof Gulf War Illness Does Exist – Medical News Today.